Home wwe latest updates Roman reigns replacement conformed !! Dolph Ziggler talked about Seth Rollins !! Brock Lesnar new opponent revealed !! Update (1) :- Roman Reigns replacement conformed..!! So guyz as I told you earlier that Drew Mclntyre could be the next face of the WWE company. So now it is 100% conformed that Drew Mclntyre will be the only superstar who will be taking Roman Reigns place in the upcoming time in WWE company. As we had also seen in the main event of this week's Monday night raw episode that Drew Mclntyre had defeated Kurt Angle with Kurt Angle's finisher itself and tapped him out. So regarding this, updates are coming that this match was really a huge match for Drew Mclntyre's career. Also updates are coming that Drew Mclntyre's hard-core push had been got started from this match. Vince McMahon and Triple H are also involved in his push. Also in 2019 year Drew Mclntyre will definitely win the universal championship. 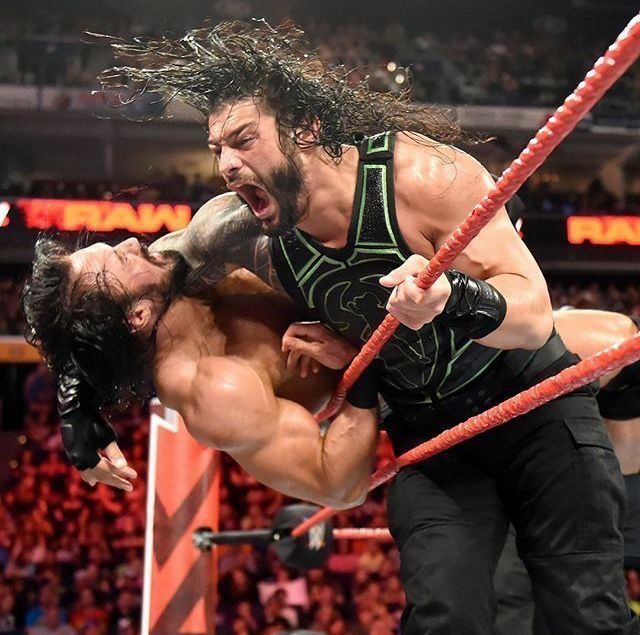 It could also be possible that after Brock Lesnar, we could see Drew Mclntyre as the new universal champion instead of the monster among man Brawn Strowman. Also let me tell you that Drew Mclntyre is currently a partner of Dolph Ziggler. But however in the upcoming time this team will be no longer. So guyz this is all about in first update. I hope you guyz like this update. Update (2) :- Dolph Ziggler talked about Seth Rollins..!! As you guyz already know that if Seth Rollins and Dolph Ziggler becomes a part of a match then that match becomes more interesting and epic too! So recently Dolph Ziggler talked about this thing only where he said that we both wrestle with the bottom of our heart and we always keep on practicing to improve our skills and image. We both always gives our best, we both performs brutal actions and flying moves which doesn't have taken place even at Wrestlemania. So here Dolph Ziggler appreciate Seth Rollins hardwork and motivation towards his wrestling career. So guyz these were the thoughts of Dolph Ziggler for Seth Rollins. This is all about second update. I hope you guyz like this update. Update (3) :- Brock Lesnar new opponent revealed..!! So guyz let me tell you that in 2019 Royal Rumble ppv Brock Lesnar match is almost conformed. 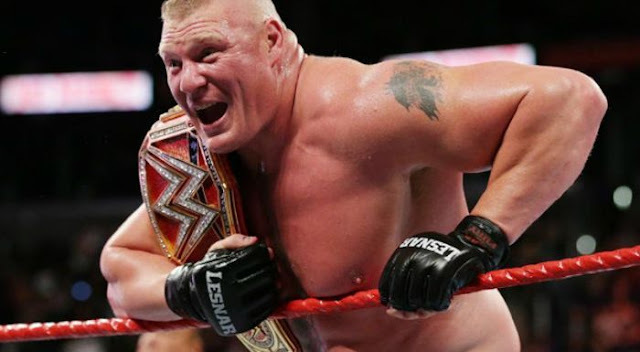 But now the question is who will face the beast Brock Lesnar for the universal championship at Royal Rumble 2019 ppv. So guyz let me tell you that earlier the rumours were coming that Brawn Strowman will again face Brock Lesnar for the universal championship. But now WWE is having lots of confusion for his opponent. And the reason behind their confusion is Drew Mclntyre. As I already told you in first update that WWE is giving a huge push to Drew Mclntyre. So regarding this now the updates are coming that possibly Drew Mclntyre could face Brock Lesnar for the universal championship at Royal Rumble ppv. Or it can be a triple threat match between Brawn Strowman, Drew Mclntyre and Brock Lesnar. So guyz this is all about in third update. I hope you guyz like this update. So guyz.. Would you like to see a match between Brock Lesnar and Drew Mclntyre at 2019 Royal Rumble ppv..?